Just the other day I had to take a trip up to northern New Jersey to visit a government building as the next required step in getting my American Citizenship. For those of you that may not know I’m originally from Canada and relocated to the States almost 20 years ago. So we figured it was about time to finally take the plunge, but unfortunately it is an extremely slow process. Anyways, after my appointment to get fingerprinted I had the rest of the day off from work so I figured I would stop by and acquire a new set of pressed pennies from a place I had never been to before. 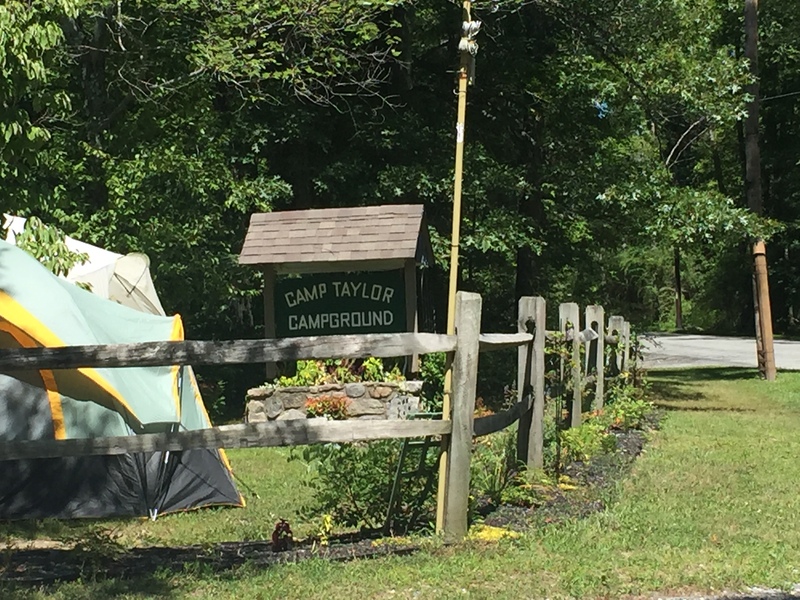 Located in Columbia, NJ is a place called Camp Taylor Campground. This place is located up in the mountains and it did put my car to the test driving up some pretty steep climbs. But once I arrived I could see why this is a popular place to come and camp. However one thing did make me a little nervous about potentially camping here in the future. 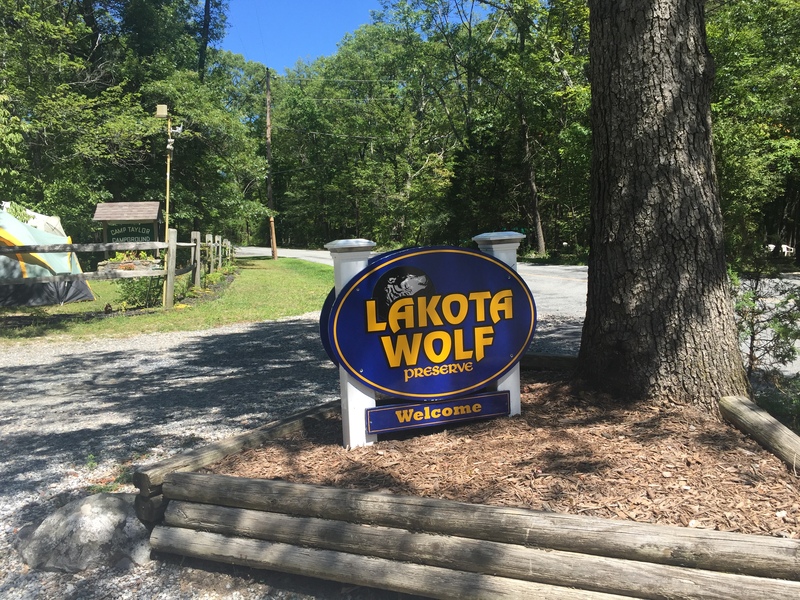 It is also home to the Lakota Wolf Preserve. Unfortunately I didn’t have much time so I couldn’t go and see exactly what it was all about. From what I read off their webpage they offer guide tours to see wild wolves in their natural habitat. Hopefully they don’t come too close to the campsites, but I’m sure that has been well planned out in advance. Anyways, as I pulled in off the main road I parked outside the main store. 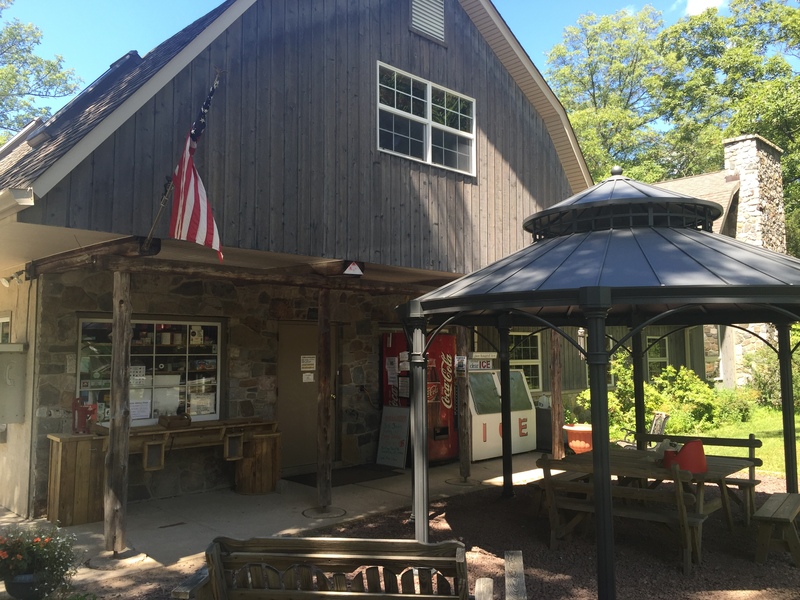 It’s set up almost like an old fashion general store, and I was immediately greater upon entering. I said I had just stopped in to use the penny machine. The nice woman there asked if I needed any shiny pennies for the machine which was very generous and something I don’t experience too often when using the machines. I thanked her but explained I had come prepared with my own. The machine was located right inside the front door of the store. 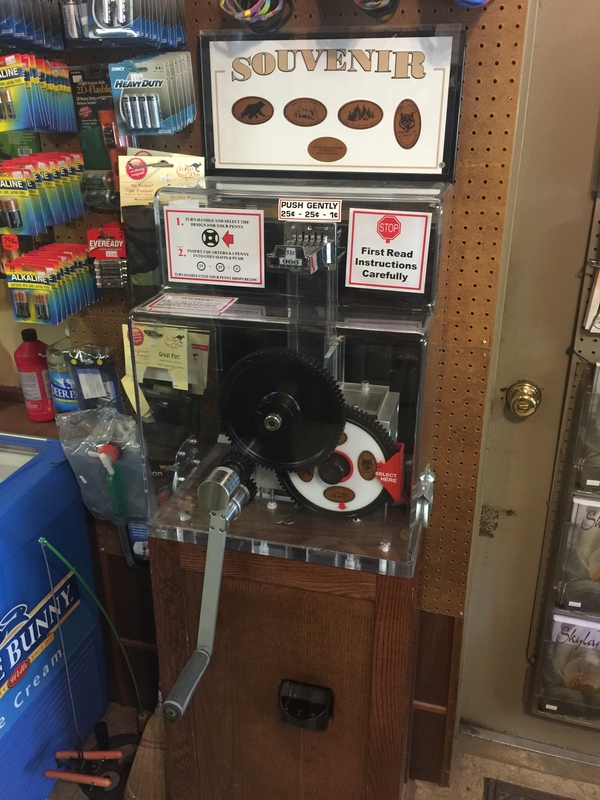 This place had a lot of stuff for same and wasn’t big on space, but when rolling pennies you don’t need much room. The machine worked very smoothly which isn’t surprised as I was also told that machine had just recently been services. 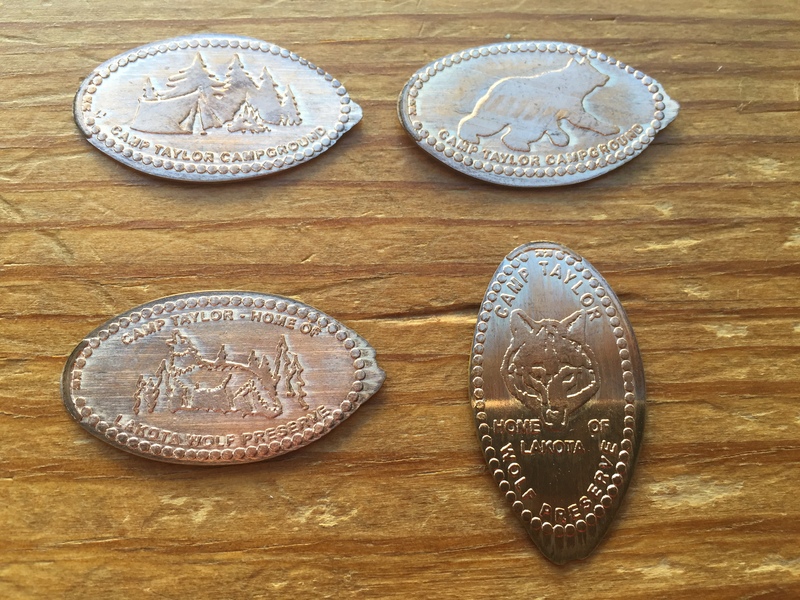 Each coin pressed with a bit of a tail on each one but the designs still appears without too much distortion. The found designs included: A Camp Site Scene, A Bear, A Wolf Howling in the Woods, and a Wolf Face. The back of each design had information about the camp. It said “Camp Taylor Campground Columbia, NJ” and also listed their website www.camptaylor.com. 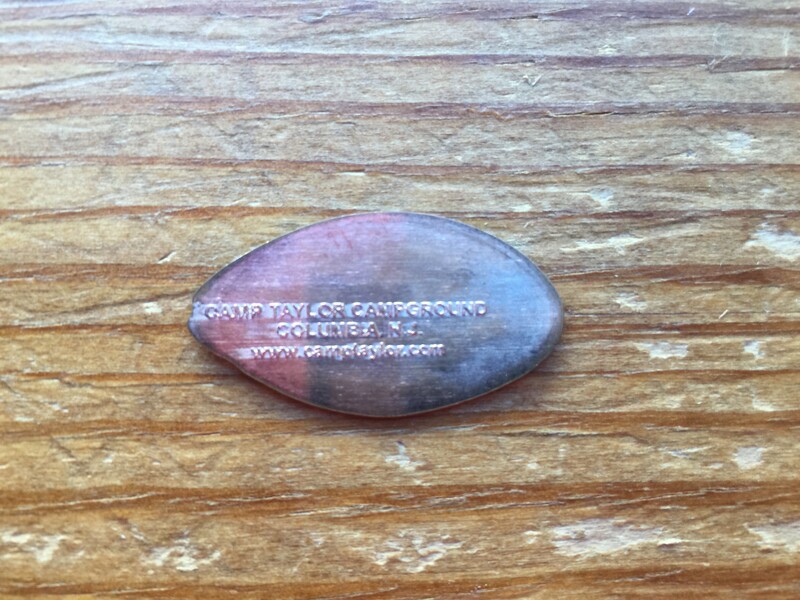 This was the third campground I have visited that has had a penny machine. There was of course a few machines in Florida at Disney’s Fort Wilderness Campground, and another near Gettysburg, PA that I will write about at another time. We used to camp a lot when I was a kid, and now that I have a little one of my own once she’s a little older I’ll definitely be taking her out of the city to the great outdoors. Maybe we can catch a glimpse of some wildlife and you never know maybe another penny machine.